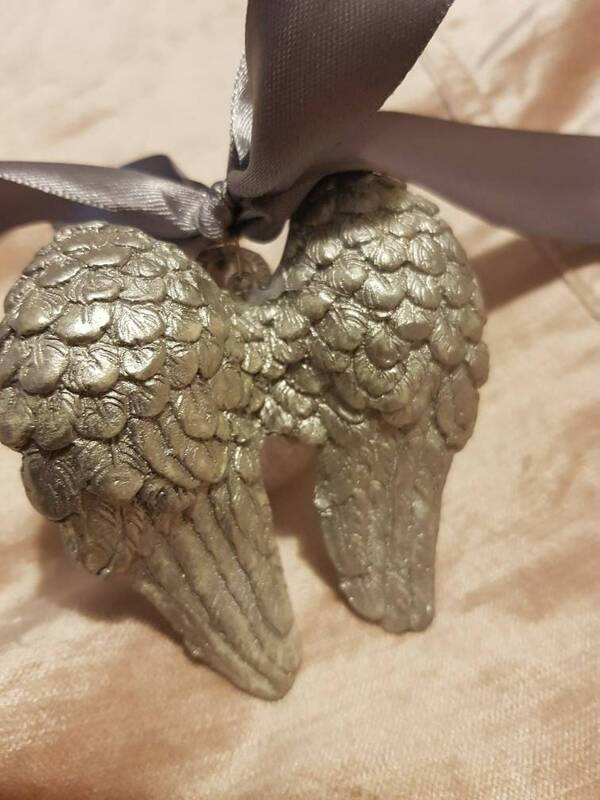 Beautiful hand made Glass Bauble embellished with heart element from Swarovski® (other elements available on request) and Ceramic Angel Wings. 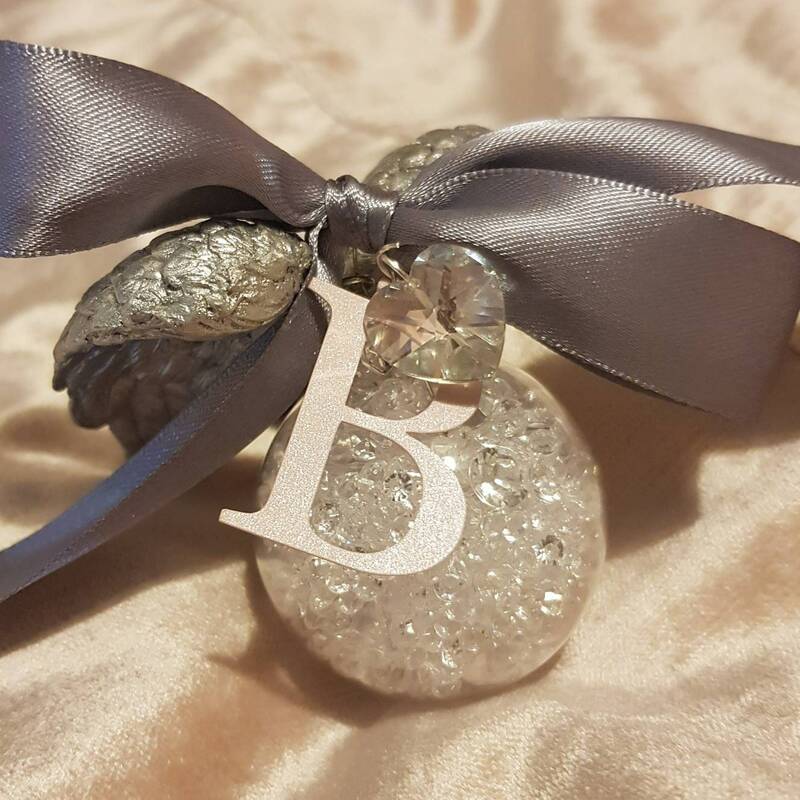 Personalised with a letter or first name of your choice making this a beautiful gift to commemorate the life of a special friend or family member you hold dear to your heart. 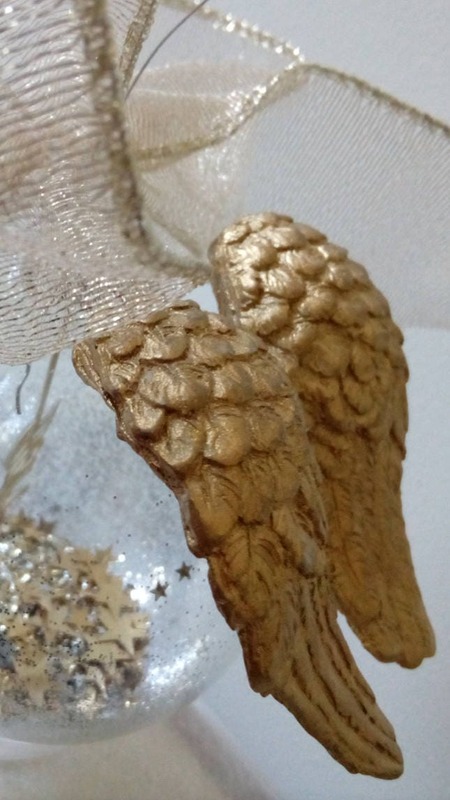 Gold and silver Editions available as well as other colour choices and elements from Swarovski®, ribbons, wings and embellishments. 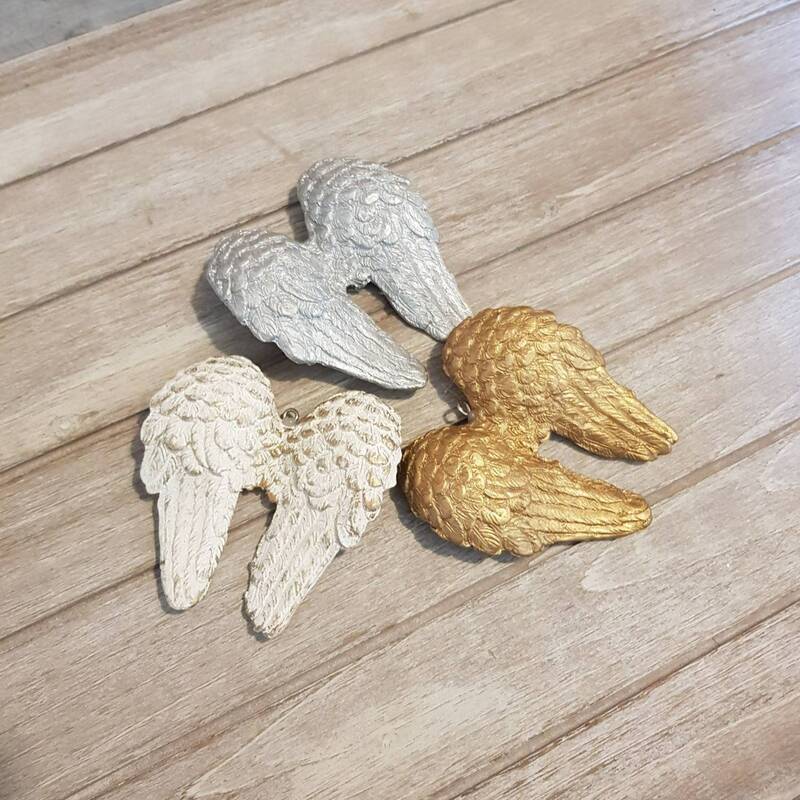 When ordering please leave a message in the comments section for the name or letter and colours you would like and we will contact you to finalise your order and requirements. Alternatively, please send us a message for any special requests or enquiries you may have regarding these items. Production time after receiving your order is currently 2-7 days + shipping time. Please note that shipping is via Express Post and is inclusive of Signature on Delivery.